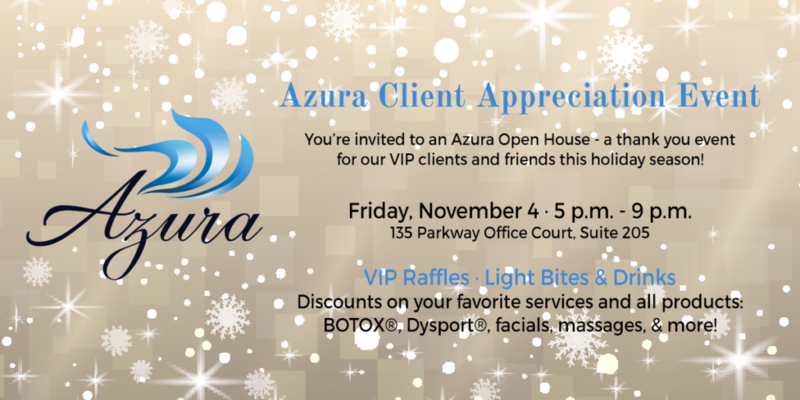 We are so excited to host our very first Azura Client Appreciation Event and can’t wait to see you on Friday, November 4, 2016 for all the fun. This event is for YOU! We want to show our appreciation to our clients and what better way then to throw you a party?! Visit us between 5 p.m. and 9 p.m. to join in. Our VIP guests will enjoy food, wine, a signature Azura cocktail, significant discounts available this night only on your favorite Azura services (BOTOX®, Dysport®, fillers, facials, massage, microneedling, Exilis, and IPL! ), as well as 20% off all of your favorite products (excluding LATISSE®, as this is a prescription and requires a visit). 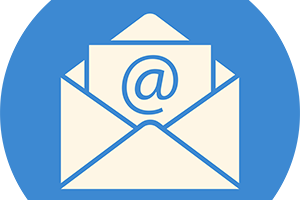 Click here to learn about the fantastic product and service raffles we’ll have for guests on November 4 and to RSVP!